Perfected by the Seminole Indians of Florida in the United States, this kind of patchwork looks complex but the basic techniques are quite simple. 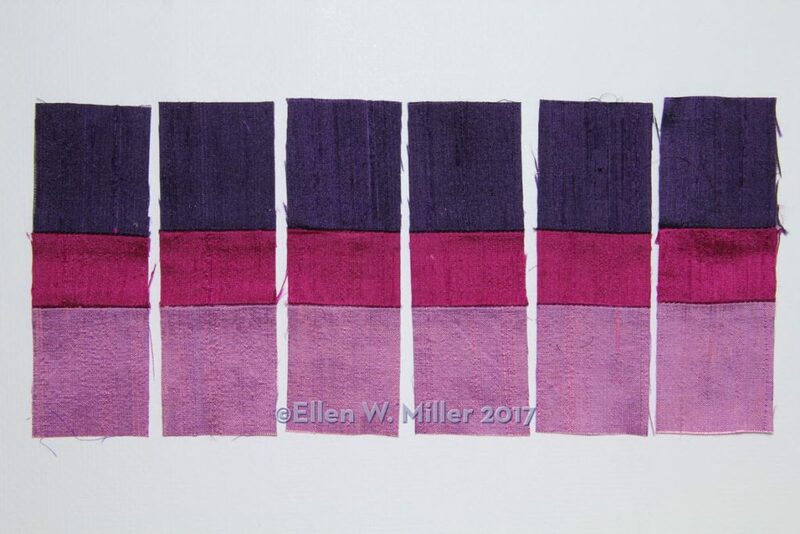 It is easy to play with color, prints, and textures with these techniques, creating very different designs from just a few small pieces of cloth. 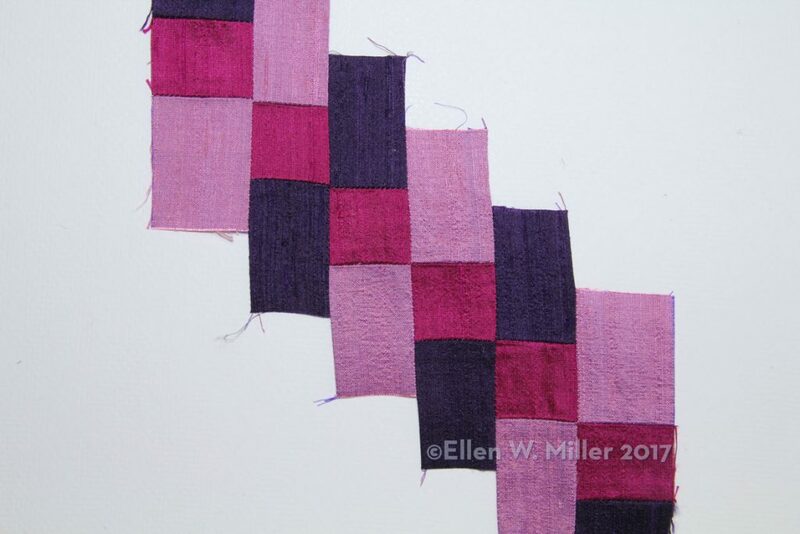 Cotton fabrics make good Seminole patchwork blocks but silk dupioni and raw silk give the patchwork an elegant finish. Patterned fabrics set against plain fabrics add another dimension to the blocks, especially if the pattern is placed to enhance the patchwork design. All seam allowances should be ¼” (6 mm). The seams should be sewn with a small stitch length, 2 mm or 10 stitches to the inch, so that when you cut the strips the stitches stay intact. Press the seams as sewn and then press the seam allowances to one side or open; do not combine strips until the seam allowances have been pressed. 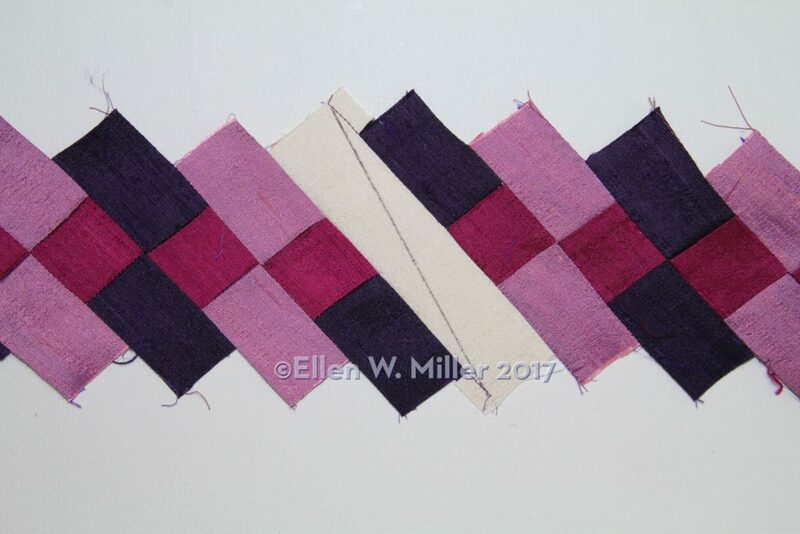 Finally, laying some plain fabric or muslin as a frame around a small sample block of the patchwork will help you visualize the completed block. 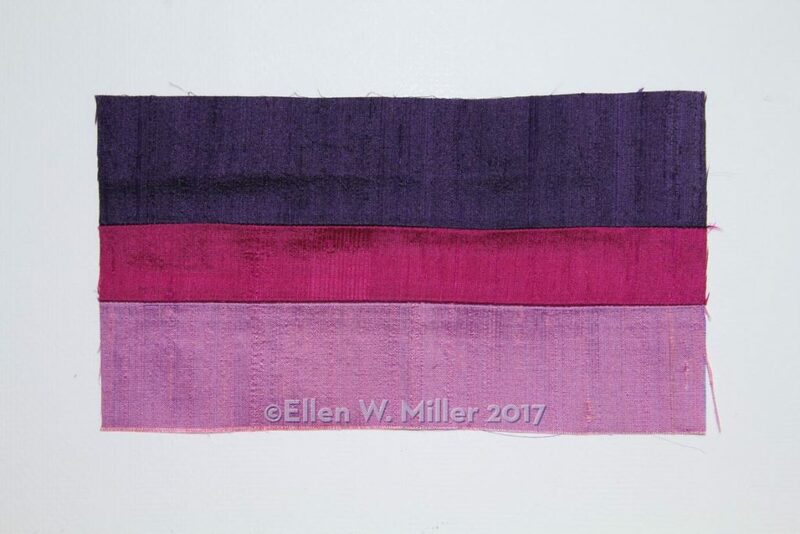 Cut two strips of different fabrics 2 in x 17 in (5 cm x 43 cm). 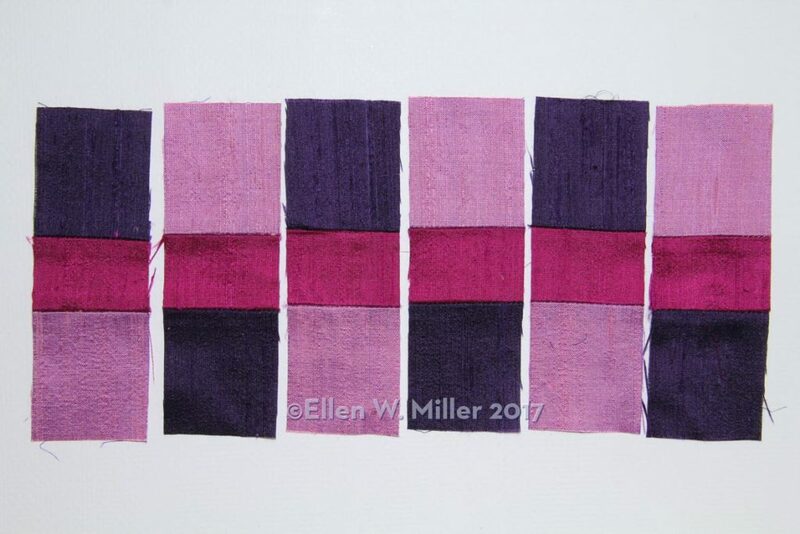 Cut a third strip of fabric 1 ½ in x 17 in (3.8 cm x 43 cm) to make a finished block 2 in x 15 in (5 cm x 38 cm). Sew the three strips together length-wise. Press the seams. 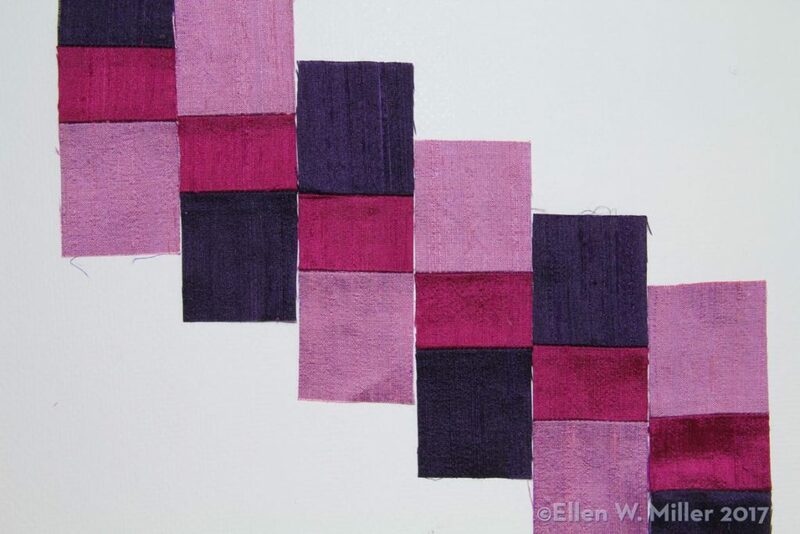 Cut the block into 1 ½ in (3.8 cm) wide strips. Turn every other strip upside down. Slide each strip down by the length of the middle strip, against its neighbor. Sew the strips together length-wise. Press the seams. Reorient and straighten the block. 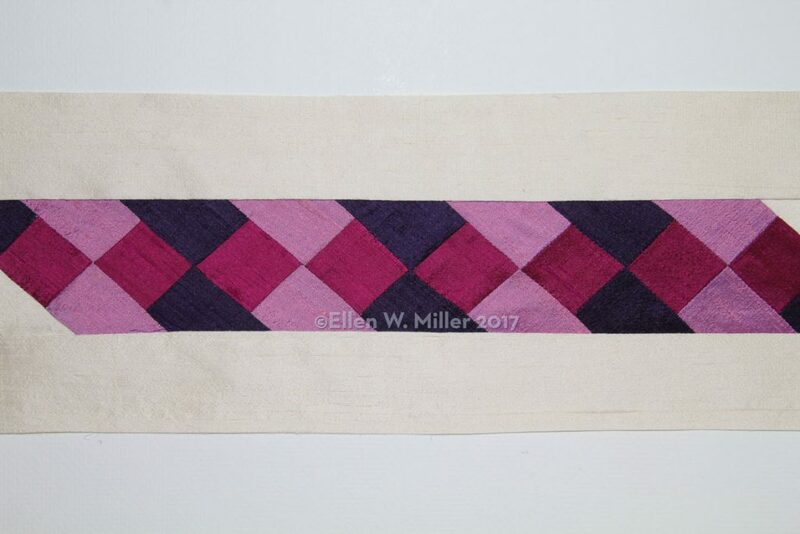 The completed block banded in cream silk.